Your hub for Wicklow Mountains National Park, Glendalough , Dublin and Dublin Airport. Always BOOK DIRECT for the best price! 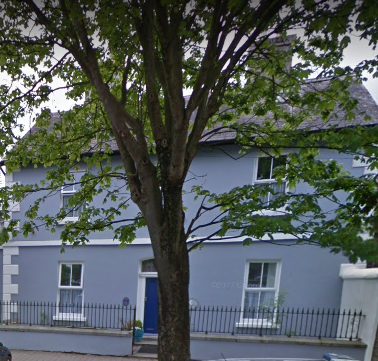 Céad Míle Fáilte ( a Hundred Thousand Welcomes), to Halpin's Town House Bed & Breakfast. It is located in the heart of Wicklow Town. Halpin's Town House B&B is a spacious, tastefully decorated house and each bedroom has its own en suite bathroom. Halpin's Town House is in a great central location on the Leitrim River . It is just minutes walk to Wicklow harbour, town centre and all cafes, restaurants, pubs & Wicklow’s Historic Gaol. We offer a delicious breakfast each morning and provide tea and coffee making facilities. Considering a break in Wicklow? Get in touch, we would love to hear form you.